Blue Hydrandeas is a novel, but I wouldn’t call it fiction. Yes, Sciucco has created the characters in her book; but the events she portrays are very real. I don’t mean that every Alzheimer’s family experiences the same things that Sara and Jack and their family have encountered; however, any family with a loved one diagnosed with dementia will easily recognize the issues they face. The story introduces us to a loving couple who run a B&B in “a picturesque Cape Cod village on the edge of Nantucket Sound.” Sara is a painter who loves the Blue Hydrangeas of that part of the country. Jack has retired from a successful business career. All is well until Sara begins to show signs of Alzheimer’s. In the balance of the book, Sciucco relates the many challenges faced by the couple as Jack struggles to maintain life as it once was. For me there are several things about the book that make it worth reading. First, Sciucco realistically captures so many of the behaviors associated with Alzheimer’s and caregiving. Her background as a writer and a nurse have come together to bring out a real sense of what it is like to live with Alzheimer’s. That includes not just the symptoms of the disease and the response of the caregiver, but also the way in which a caregiver’s thought process works or fails to work. That leads to my second point. The story brings out an important message for all caregivers. Caring for a person with dementia requires a delicate balance between what I call “head” and “heart issues. Jack’s heart is in the right place. He loves Sara deeply. He wants to do what is right for her as well as for them as a couple. His heart overshadows his head until he finds himself in trouble. Fortunately, there is a happy ending. A few weeks ago, I saw something about the need for a caregiver to have a team to help with this journey. It can be too stressful to do it all alone. Jack had a team of doctors, family, and friends who could help him, but he had difficulty making the best use of them. I think there are many people just like Jack. All of us can take a lesson from his experience. We need a team, and we need to listen to them carefully as we make what we hope are the best decisions. Finally, despite Jack’s struggles, this is a heartwarming story. 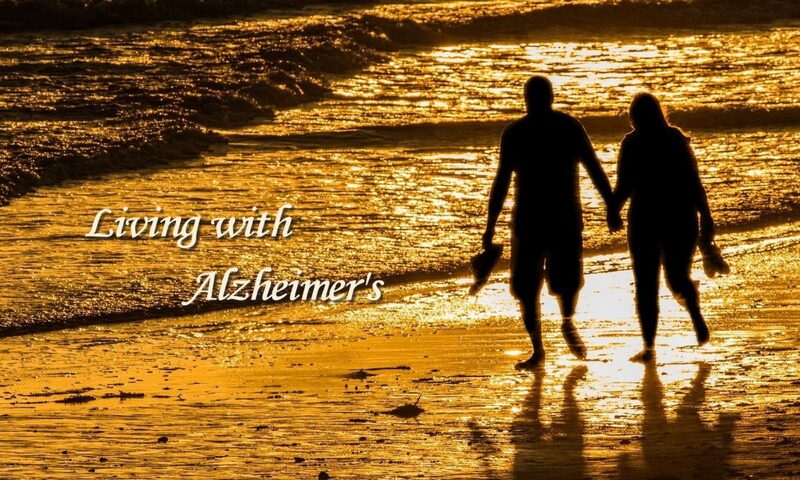 As the book’s title tells us, it is “An Alzheimer’s Love Story” from beginning to end. If you are a caregiver of someone with dementia, you might benefit from reading their story as much as I did. As my wife’s caregiver, I always enjoy reading the experiences of others. While I recognize many of their experiences, there are always unique ones as well. Beyond that, I am fascinated with the ways in which the authors tell their stories. With that introduction, I’d like to say I was especially happy to read Love in the Land of Dementia: Finding Hope in the Caregiver’s Journey. The title itself caught my attention. I immediately connected with the words “Love” and “Hope.” I realize that for many caregivers these words are but a dream. In my own case, however, they capture much of the life my wife and I have lived since her diagnosis over seven years ago. It pleases me to find other people for whom they have also been a reality. As I started reading, I quickly learned two things. First, this is a book that doesn’t disappoint. It is filled with love and hope and inspiration. Second, Deborah Shouse is a gifted writer. There are many caregivers who have rich stories to tell, but few of us are as skilled as Shouse when it comes to telling them. Everything about her book conveys her talent. I was particularly taken with two things. One is the organization of her story into chapters that are vignettes of a particular aspect of her mother’s journey with dementia from before the diagnosis through her mother’s transition from this life. The other thing is her beautiful descriptions in each vignette. The way she describes her mother, herself, and the situations including the physical setting and other people brings the story to life in much the same way that a movie or television production might do. What those media do with visuals, Shouse does effectively with words. I often felt that I could visualize exactly what was going on. For someone like me who can be a bit longwinded, it is impressive how effectively the author tells her story in as short a space as she does. I take that as another mark of a professional. Her vignettes were well chosen to tell a complete story without having to describe everything that happened over the time period she covered. I am happy to recommend this very tender and touching portrait of her mother’s journey with Alzheimer’s. You will find it packed with lots of gems as you move from one vignette to another. Right now I am feeling like there are a number of things that I would like to comment on, but I also don’t feel I have sufficient time to devote to it now. Let’s see what I can do. Follow up on the iPad. After getting the iPad, Kate spent a good bit of time on it. She was primarily playing free cell. When she got her computer back on Tuesday, she gravitated back to it. She is trying to complete her photographic piece on Brian’s trip to NYC. It is virtually complete, but as is characteristic of her, she can’t let it go. I also noticed the other night as she showed me what she has done that she has some photos out of order in terms of the way she wants to present them. Organizing things like this are a nightmare for her. I have offered to help her, and she has said she wants it but not now. For 3 days now she hasn’t even turned on the iPad. I am reading Jan’s Story by Barry Peterson, CBS journalist whose wife has early onset Alzheimer’s. I discovered this book when I started looking about AD that I could download from audible.com. It is an interesting account of his experience with his wife and how they tried to adjust to her disease. I am about ¾ through right now and will finish over the weekend. I find it interesting simply because it is another person’s experience with a spouse with AD. I do find, however, that their situation, the way her symptoms occur, and his personality make this a different experience from my own. To be sure, there are commonalities – signs of forgetfulness and attempts to compensate or cover by the person with AD, denial that the person has the disease, etc. Here are a few quick observations. I may give others after finishing the book. 1. As his wife, Jan, goes through initial stages all the way to her being placed in a facility, there are striking symptoms that are serious in the early stages and normal kinds of behavior in the late stages. My observation of Kate is that the only dramatic thing I have been aware of in the earliest stages was her panic over being lost while driving someplace. Otherwise, it seems like she is going through a gradual decline in memory and ability to handle everyday tasks. I was surprised to learn that even when Jan went into a facility, she was able to appear somewhat normal to others apart from her husband. I am assuming that if and when Kate is in a facility, everyone will know of her condition. 2. It is easy to judge other people, but Barry seems to have let Jan live and function on her own a lot longer than I think he should have. I think she was well beyond where Kate is right now when he would travel out of the country leaving her alone. He did have friends come in to check her medications and see how she was doing. Right now I would be concerned about leaving Kate overnight. Of course, it is easy for me to judge since I am virtually retired, and Barry was younger and in the prime of his career. 3. I find his discussions of developing another relationship discomforting. I am aware that this is a topic of discussion among caregivers, but I don’t like to think of my doing this before Kate is gone. 4. The entire story makes me more comfortable keeping Kate’s AD from the world. We still have not told anyone except for our pastor, our attorney, and another attorney with State Farm who is representing me in a lawsuit over an accident from 2009. My reason for this is that if she is able to function well enough that people don’t know what good does it do to tell them. I do still wonder when we will tell the children. At the same time I think the answer is when they start seeing signs of her decline. I also feel like this is in Kate’s best interest. She doesn’t want to be a martyr nor does she want to be a leader in a campaign to promote greater awareness of the disease. She is a more private person. She just one to be a regular person. Right now I am wondering what she will be like next summer and how our visits with our children and grandchildren will go. This week I booked a house in Jackson Hole where the 3 families will celebrate our 50th wedding anniversary next June. Will the children notice anything after a full week together? We will see.